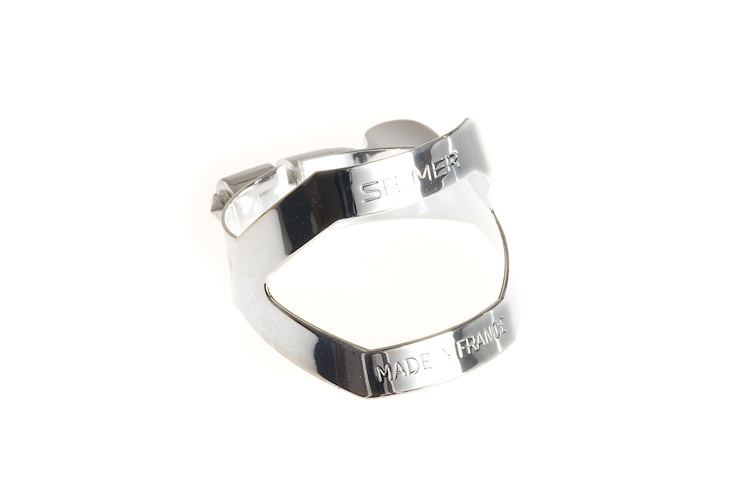 This new sleek one screw design ligature from Selmer offers the player a free blowing and responsive sound. The ligature fits most plastic and ebonite alto mouthpieces. Silver plated finish. Featuring a single screw design and lightweight body this ligature allows the reed and mouthpiece to resonate freely and really open up your sound to play with no restrictions.